There are at least 30 artists with this name: 1. Sir Robert Bryson Hall II (born January 22, 1990), known by his stage name Logic, is an American rapper, singer, songwriter, and record producer. 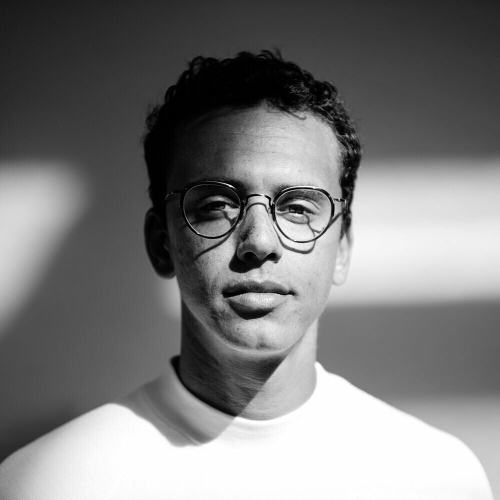 Raised in Gaithersburg, Maryland, Logic developed an interest in music as a teenager, and ventured into a musical career in early 2009 releasing Logic: The Mixtape under the name "Psychological", and releasing a mixtape titled Young, Broke & Infamous in 2010. He signed with Visionary Music Group, before releasing three more mixtapes over three years. His fourth mixtape, Young Sinatra: Welcome to Forever (2013), was released to critical acclaim, and allowed Logic to secure a recording contract with Def Jam Recordings. He later released his debut studio album Under Pressure in October 2014, which debuted at number four on the U.S. Billboard 200, eventually becoming certified gold by the Recording Industry Association of America (RIAA) and having sold more than 171,000 copies. Logic's second studio album The Incredible True Story was released in November 2015, receiving mostly positive reviews from critics. Also certified gold in the U.S., it sold over 185,000 copies. Logic released his fifth mixtape, Bobby Tarantino, in 2016. Logic's third studio album Everybody (2017) was his first to debut at number one in the U.S., with 247,000 album-equivalent units, of which 196,000 were pure album sales. The album spawned his first international top 10 single as a lead artist, "1-800-273-8255", which reached the top three on the Billboard Hot 100. --------------- 2. Logic was raised in Brixton, South London he has grown in a poverty driven environment. He is affiliated with the infamous P.D.C who are in the process of building a record label. His solo career began through a record shop called ‘Deal Real’ which used to be located in Carnaby street. This is where he first performed to a crowd and the response he recieved made him continue on this path. Since then he has supported the likes of KRS-ONE, Immortal Technique and Saigon to name a few. Logic joined forces with an artist known as Lowkey. Together they form a duo called ‘New World Order’. This project was a idea, where we as a nation need to realise that the powers that be have a plan. An order by which they intend us to follow. With this project we suggest that we need our own order. Our own plan needs to be made so we can battle against the inevitable future --------------- 3. Logic is the recording alias of Edward Harrison who is responsible for the soundtrack for the Neotokyo mod of the video game "Half-Life 2". No public release of the OST has been published but it's possible to hear some tracks on the Neotokyo website.